After meeting your guide and picking up your bike, the Bike Tour will start with a look at the Po’s bank, a central point for the growth and development of the town, you will then ride towards the Cathedral of St. George, an amazing Romanesque display with a unique façade raising in front of the City Hall where you will be guided through the story of the Estensi, who paved the way to the Renaissance in Emilia Romagna. 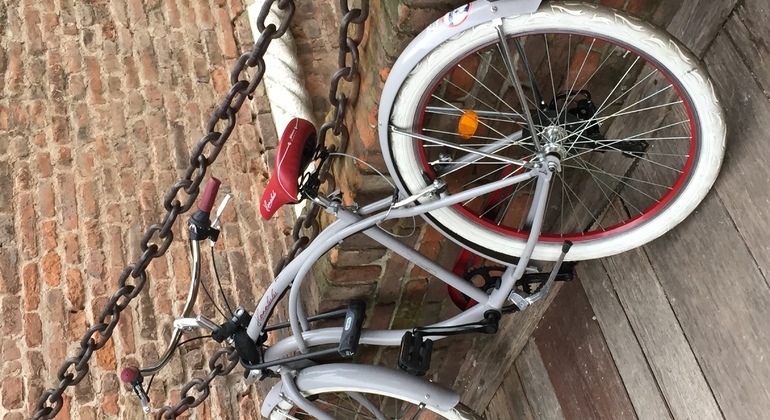 You’ll visit the Jewish District, a community embraced by the Este family, and ride along Via delle Volte, an ancient cobbled medieval street teeming with porticoes and arches that will give you a glimpse of ancient times. 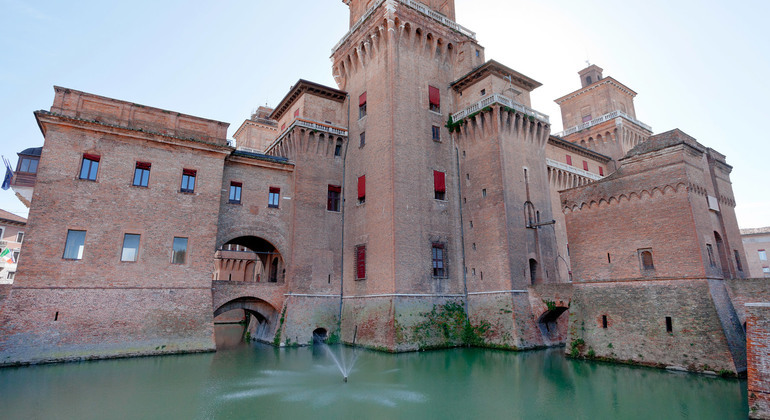 A stop at the Estense Castle is therefore mandatory: a fortress that stands still surrounded by its moat at the center of the city. 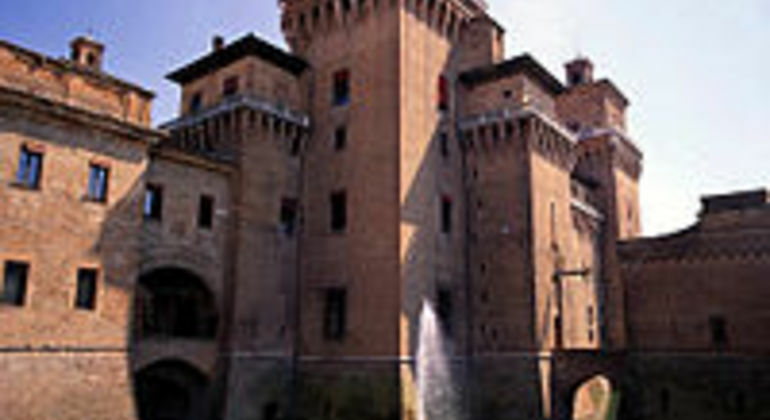 Piazza Aristotea, where the oldest Palio of the world is still raced nowadays, the Monumental Complex of La Certosa, Ferrara’s main graveyard and cycling on top of the perfectly preserved city old walls, Corso Ercole I and the outstanding Palazzo dei Diamanti, will complete the discovery of the city. 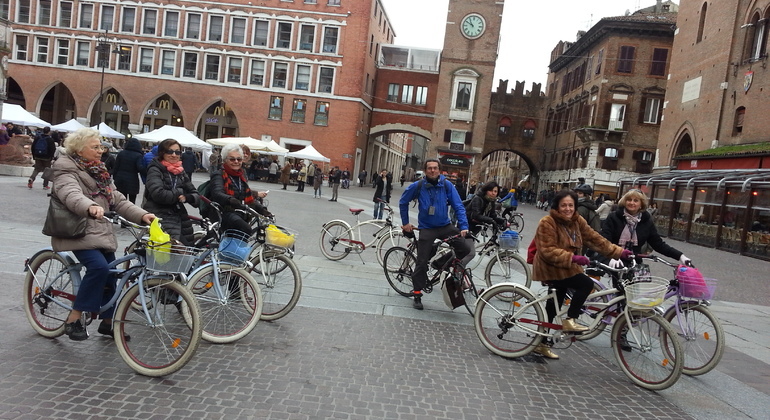 From Bologna's Central Station: cross the road VialePietramellara and take the main street Via dell'Indipendenza. Cross again and walk for about 2-4 minutes. Please state in your booking on "notes" the chosen meeting point. Please let us know about your booking which starting point you prefer.